Fields medalist and Polymath founder Timothy Gowers has some bellicose thoughts on the state of the journal industry. As we all know, mathematics journals tend to be written, edited, and typeset by volunteers. This can make their exponentially increasing price something of a mystery (see figure below, borrowed from an article on the Crisis in Scientific Publishing.) In addition to mundane economic reasons for the climb in journal value, some allege there to be questionable marketing practices at play. As Gowers notes, Elsevier (a publisher with many desirable titles) insists on bundled sales of journals to libraries, making it impossible to select really essential pieces a la cart. This has the obvious effect of raising the cost of maintaining a well-equipped academic library. Though much less visible than high textbook prices, students stand to be affected by these policies through tuition and fee increases. 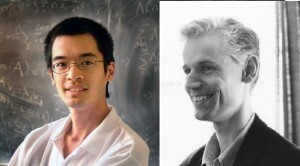 Fellow Fields medalist Terence Tao has seconded some of Gowers’s opinions. While Gowers has resolved neither to publish nor to referee for Elsevier, Tao will only commit to not submitting to their journals in the future. It is interesting to note in relation to these issues that Princeton has recently stated that its faculty will publish only in journals which allow the author to retain copyright. This entry was posted in Uncategorized and tagged fields medal, publishing industry, terence tao, timothy gowers. Bookmark the permalink. so young he can get the best mathematical predicate and I am very happy viagra asli to hear and see the progress of this world. As an addendum, Gowers and others have created a website http://thecostofknowledge.com/ to publicize this issue and collect names of those willing to boycott Elsevier for their practices (5,000+ so far, and growing rapidly!). They’ve also released a more formal statement discussing the reasons behind the boycott, here: http://gowers.files.wordpress.com/2012/02/elsevierstatementfinal.pdf .